There are 11,000 city-owned public payphones in the five boroughs of New York City. But let’s face it: these machines have turned from a place you make prank collect calls to a homeless person’s toilet. The booths are dark, uninviting, and often covered in graffiti and trash. It’s just an all-around unfriendly spot. And that’s what New York needs – another thing that’s unfriendly to its visitors and inhabitants. 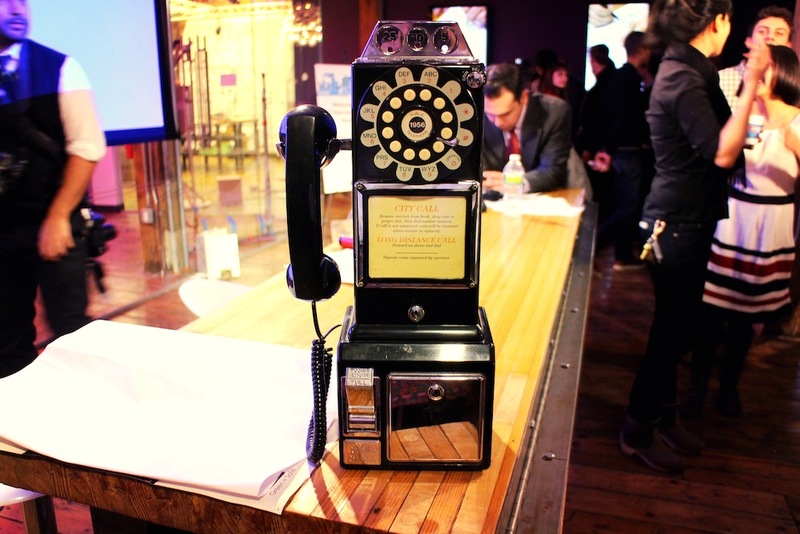 To fix the issue and give it a technological scrubbing, the City of New York hosted a Reinvent Payphone challenge, hosted by industrial design firm Quirky, to test how we can reimagine the next generation of payphones. The contest launched December 2012, and last night, crowds gathered to witness the 11 finalists whose design will eventually be adapted for official proposal. To say people got creative would be an understatement. 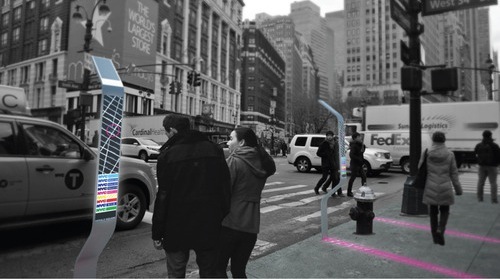 One design idea, Smart Sidewalks, features an underground meter that could harvest kinetic energy from foot traffic that pass above it on a daily. The steps counted could also be useful in tracking how many eyes potentially see the commercials displayed on the color panels to aide ad sales. Another design, Windchimes, focused on something more eco-conscious than futuristic; The prototype had all sorts of sensors at the top aimed to measure air quality levels. These resulting data could be useful to local urban farmers and residents to promote healthy living. 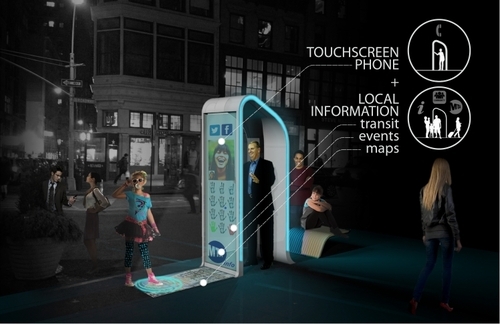 While an iPad-esque design would be a substantial upgrade to our current payphone situation, these ideas lacked a sense of who their users are. A common aspect most submissions shared were giant screens with apps to recommend local businesses, display current weather and hyperlocal news, and hail a cab depending on the payphone’s location. But in the age of the smartphone, why would we want a payphone that has features most of us already own on our mobile devices? What would convince one to otherwise touch a public germfest machine? This alone made Windchimes’ design stand out, along with Beacon, a larger than life pole with dualscreens – one that offered apps and phone functionality and a larger screen up top for advertisements, news alert, even mile mark for the city’s annual marathon or parades. Beacon’s size also makes it useful as neighborhood landmark. Heck, the one design that featured a directional arrow which always point uptown seems more useful. It’s important for designers to remember who will be using the phones, not just what we can cram into a single device. The new payphones need to offer more than what we already have in our pockets. 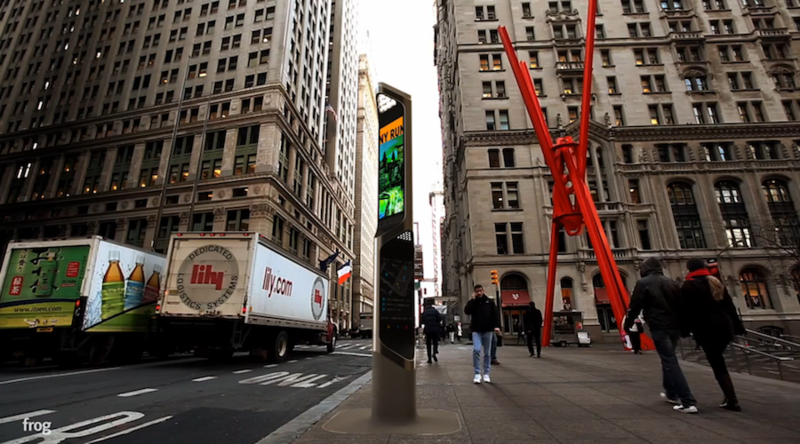 The current deadline for the new NYC payphones is set for October 2014. The project will be funded by public and private partnerships as well as advertisers, so no digging into the city’s capital budget for these next-gen street candy. If you want to vote for your fan favorite submission, you have until March 15 to voice your opinion on NYC.gov’s Facebook page. For more info on Quirky, see the video below.